The Croydex Professional Profile 400 Standard Shower Curtain Rail is a straight curtain rail system made from ultra strong aluminium. Finished in Silver satin for a contemporary look with grey plastic wall brackets. 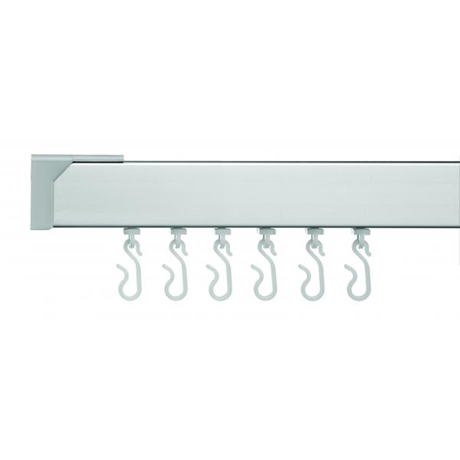 The rail features a smooth running internal hook and glider system and comes supplied with twelve hooks and gliders.